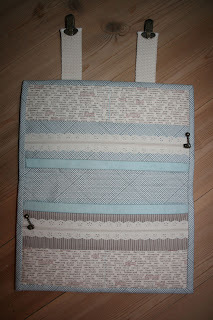 With the lovely sewing weather we've had this summer ( rain, rain, rain), I've been able to do a bit of sewing. 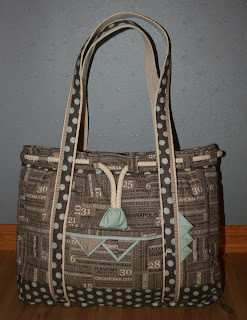 This is my new bag- the pattern is "poseveska" by Bente Malm. 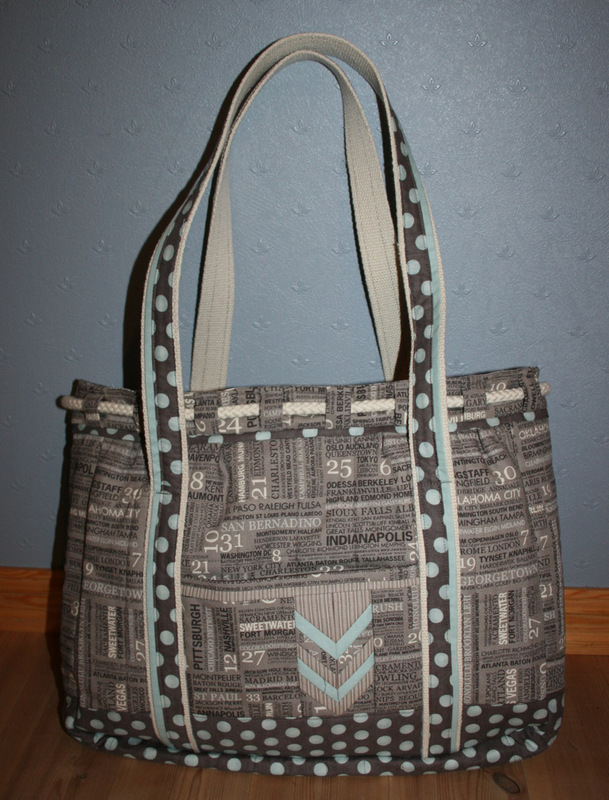 I made the same bag a couple of years ago in green and orange, and I really liked the size and design. 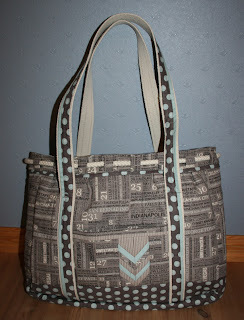 Here is the other side of the bag. 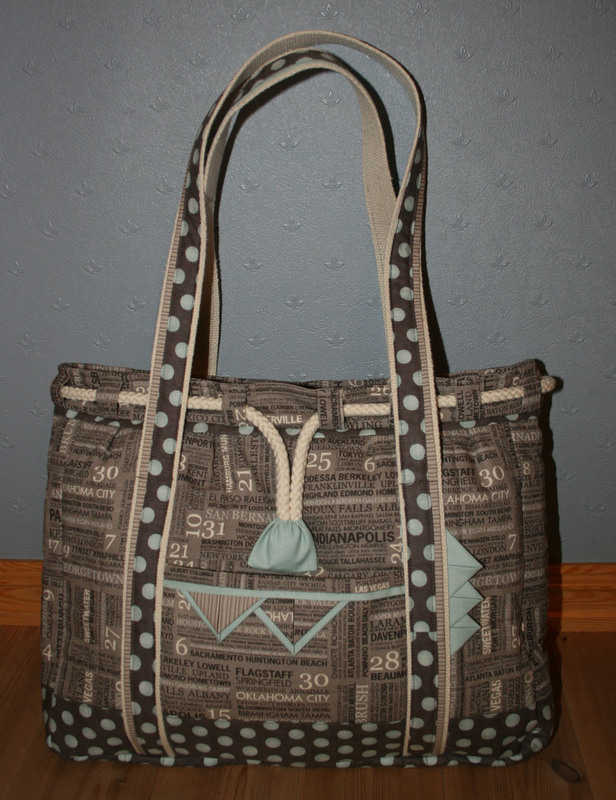 It has a pocket on both the front and the back, between the handles, and a zippered pocket and four smaller pockets on the inside. I changed the open pockets a little, from a large one to several small ones to fit my phone, camera, pens, and a notebook. 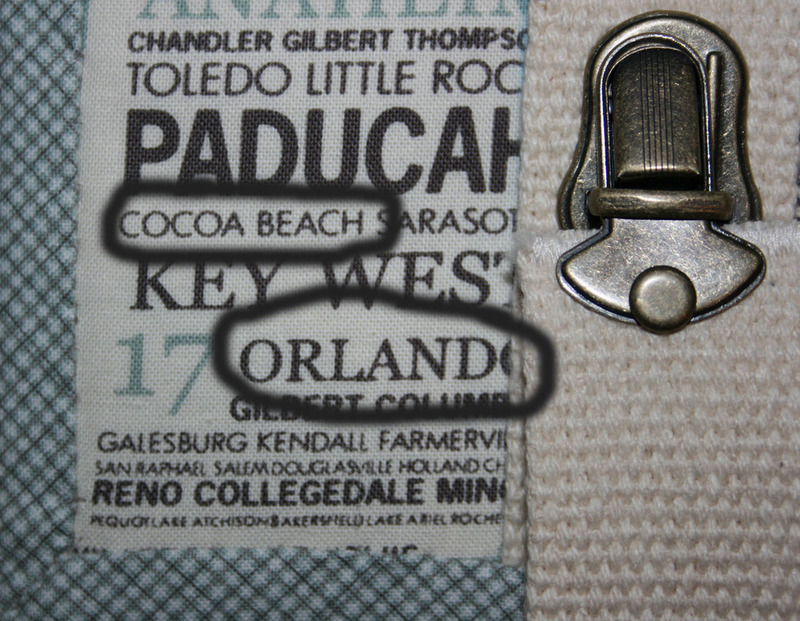 I was on a roll, and made AnnAKa's Reisemappe with fabrics from the same line: Hometown by Sweetwater. 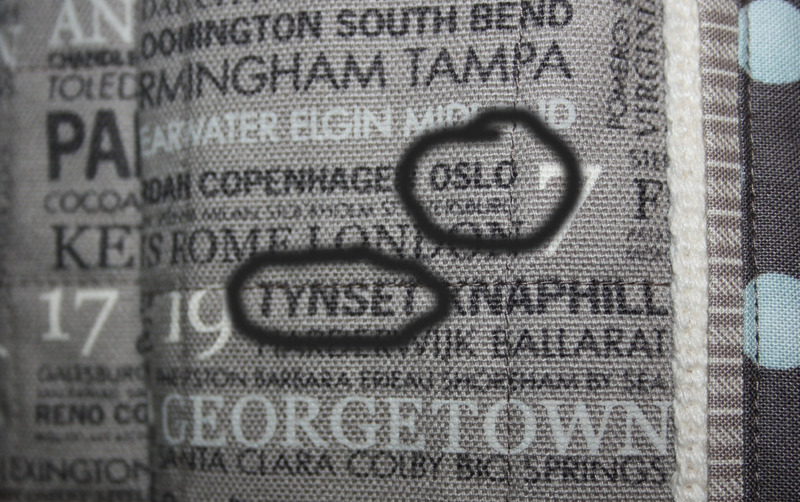 I LOVE this fabric- it has the name of four places I have lived (and live) In this picture I have circled Oslo and Tynset. When the ladies at Sweetwater were designing this line, they asked on their blog what our hometowns were, and I left a comment saying Tynset is my home town- how cool to see it in fabric!!!! 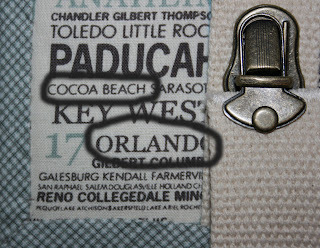 I like the Hometown fabric. And your American hometown is on it. Good find! It has been very hot and dry here in Florida. 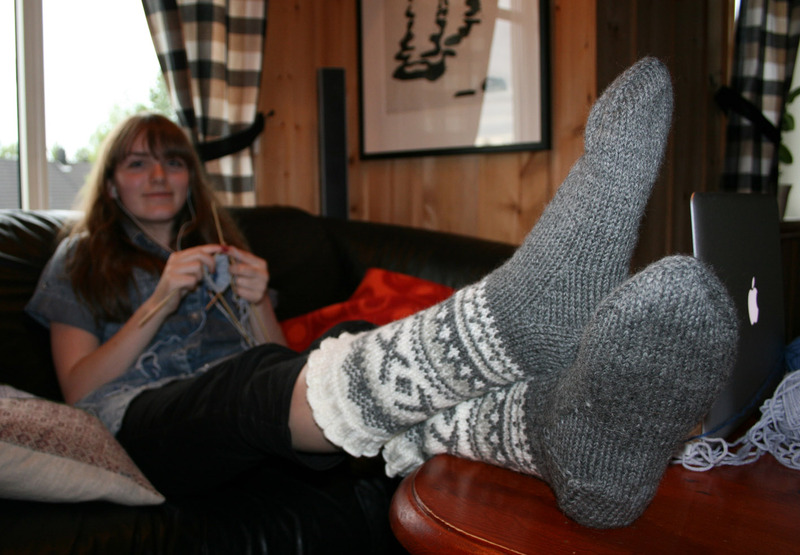 You would not need those socks. 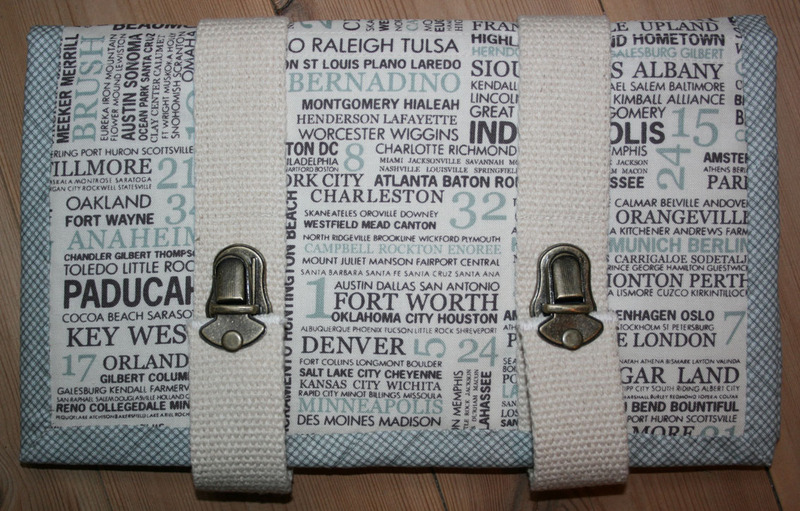 Great bag, how fun for you to find your towns on the fabric. 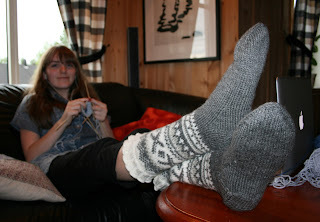 Love the socks, hope Kristine gave them back! 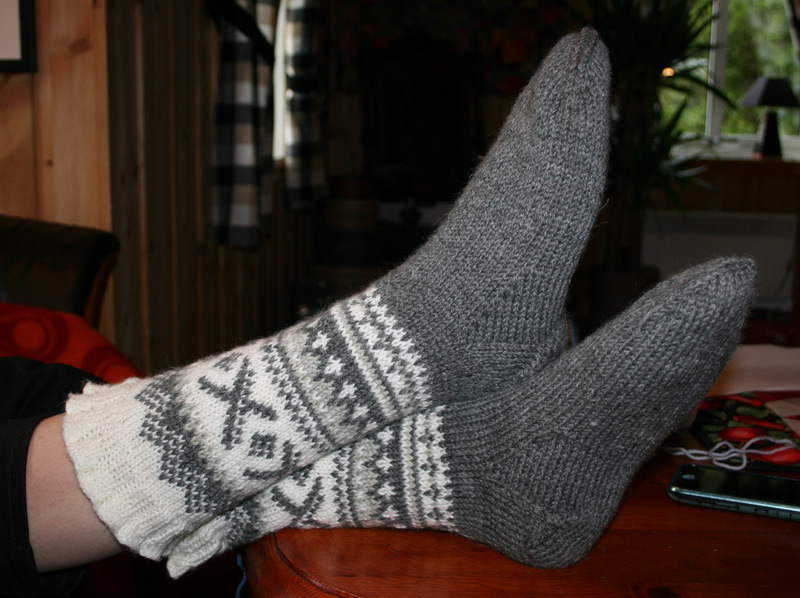 Og sokkene -jeg hadde ikke gitt dem tilbake hvis jeg først hadde fått dem på foten. De var jo nydelige! 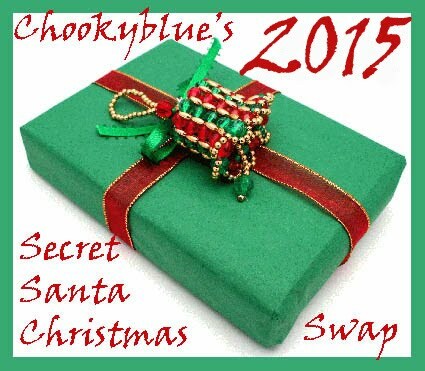 I was thoroughly browsing your blog and love your fabulous projects. Your bag and your travel folder,gorgeous.Yes ,your Hometown fabric is great and also your socks. Love your new handbag! It looks like a commercial product. Nice work.